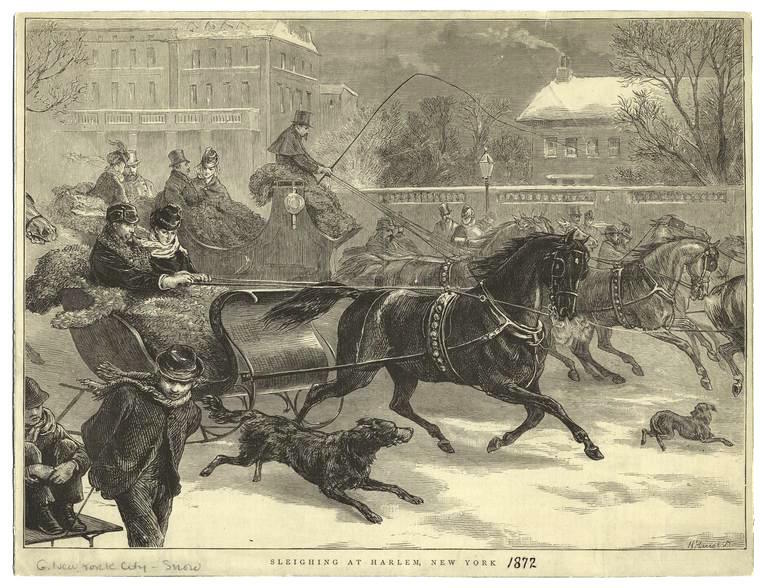 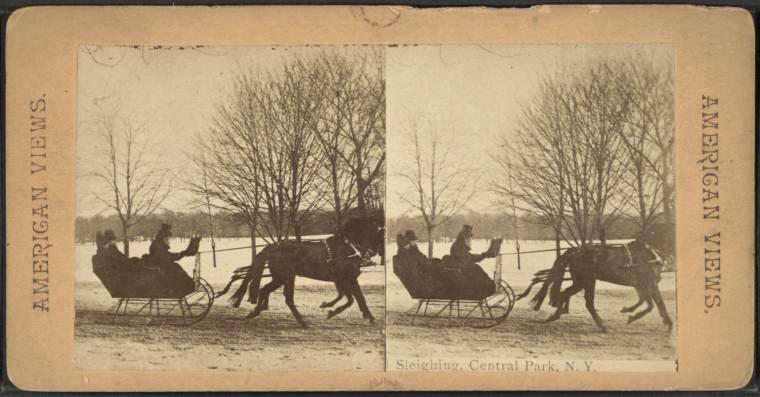 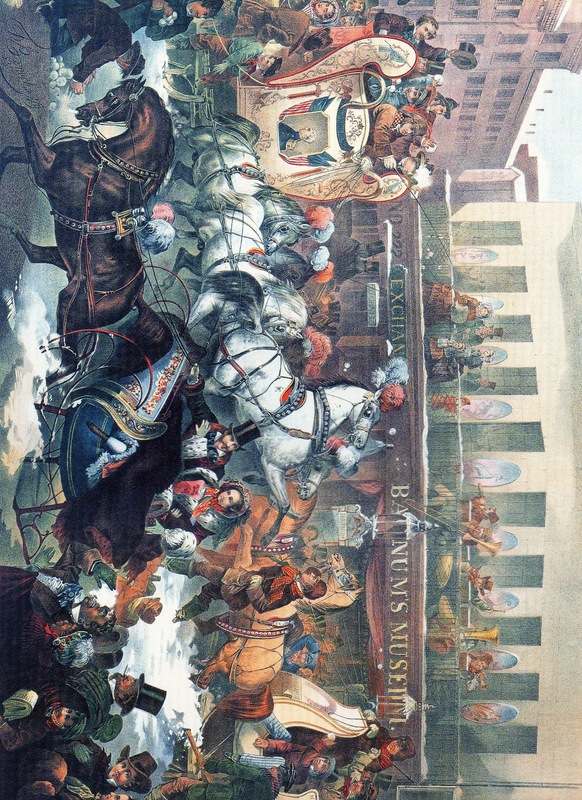 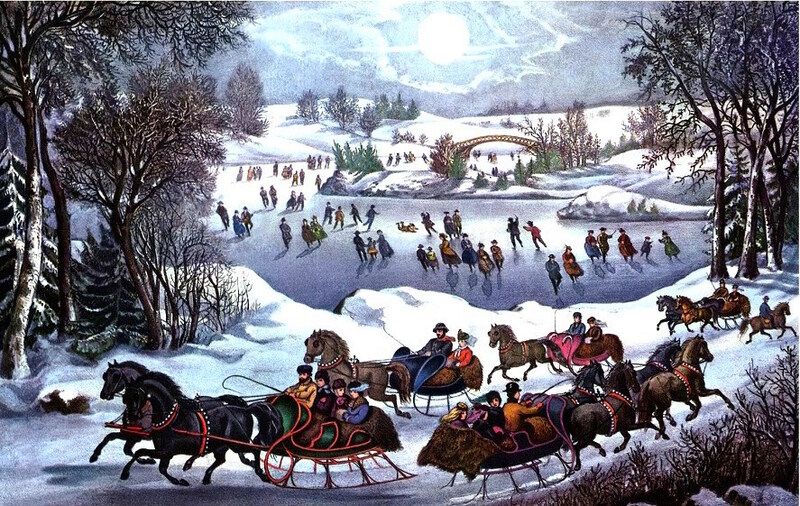 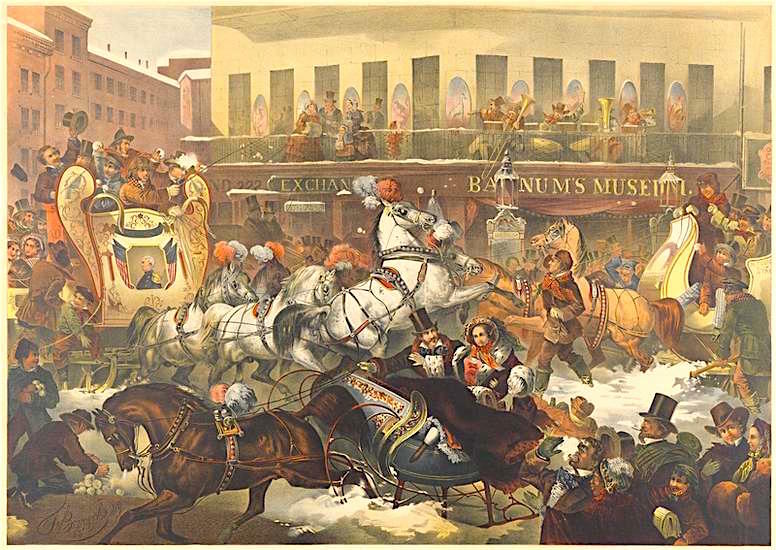 With lots of snow, a six-horse sleigh, and a brass band in the mix, downtown Manhattan appears lively and festive in Thomas Benecke’s lithograph “Sleighing in New York” from 1855. 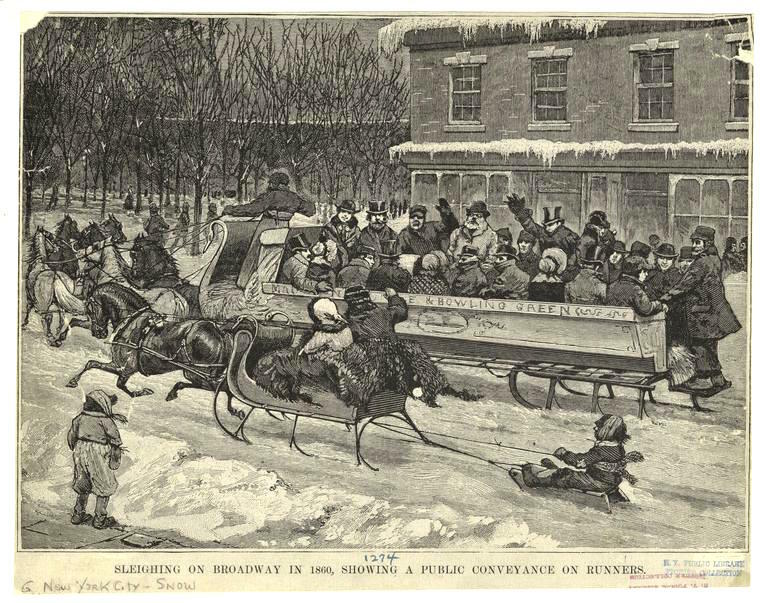 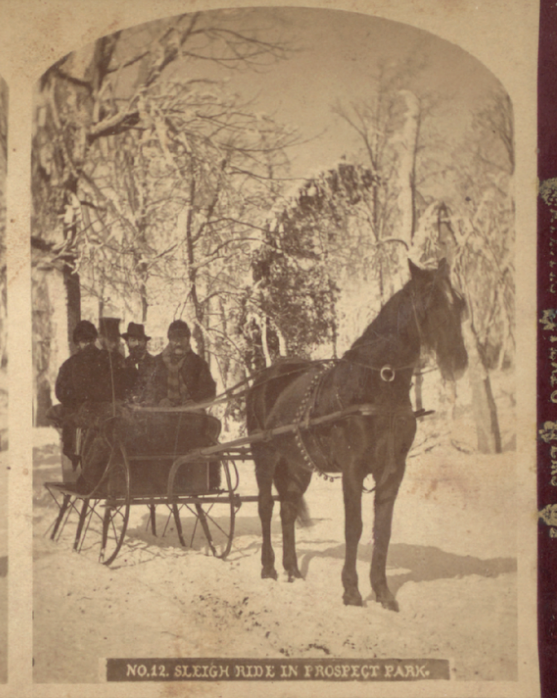 “This boisterous scene of a sleigh collision and snowball fight may have been a staged spectacle, given that it occurred in front of P.T. 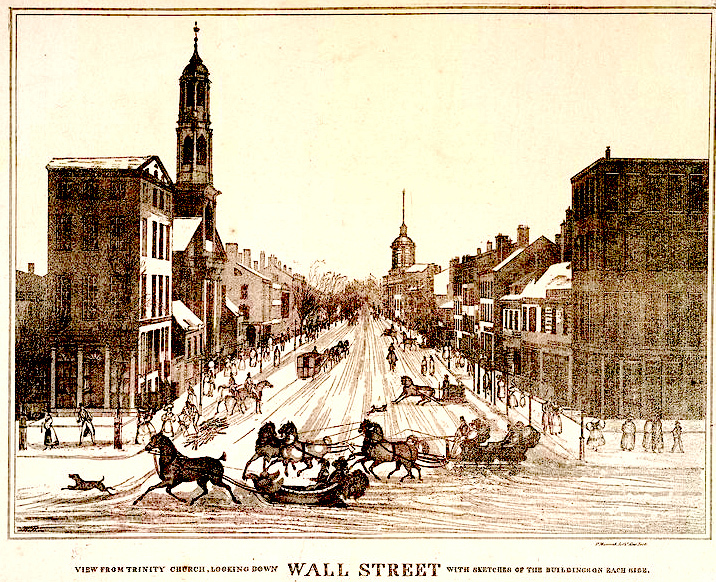 Barnum’s museum at the corner of Broadway and Ann Street,” states the caption of Impressions of New York, by Marilyn Symmes.